I never stop being amazed at all of the beautiful yet inexpensive home decorating ideas people share. 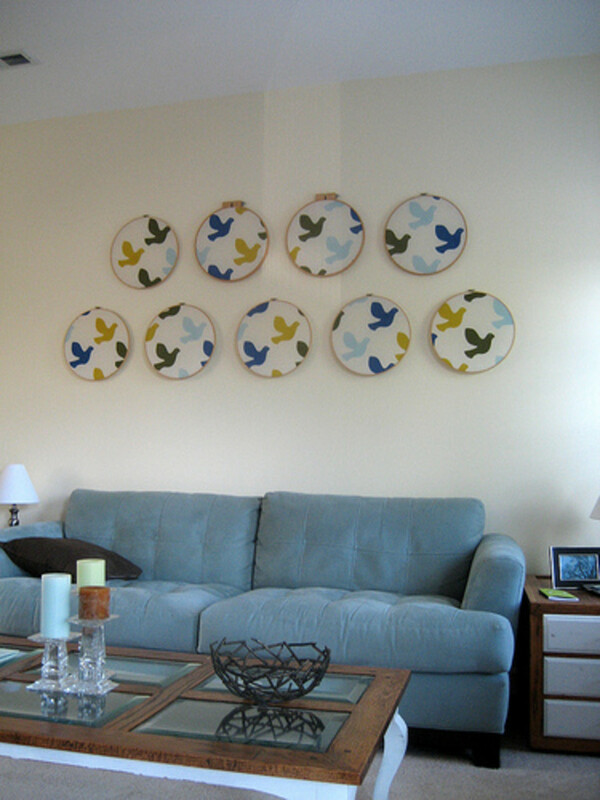 This time it is fabulous wall art made from fabrics in multiple embroidery hoops strategically placed on the wall. Some of them are in free form groups with multiple sizes and some are all the same size placed in multiple rows or some sort of even pattern. This is a very unique way to decorate and it really does look amazing. There are some very amazing and talented people in this world. After seeing one of these displays, I went on a search to find some more. 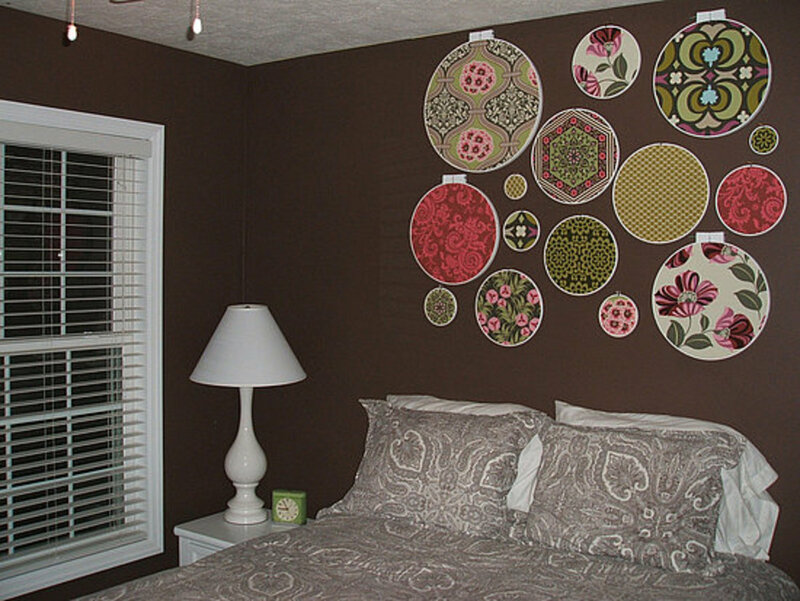 There are many different examples here of the embroidery hoop wall décor. I'm sure you will see one that you love. I love the way this looks with the large one in the middle and the smaller ones sort of orbiting around it. I never would have thought so many different patterns and colors would go this good together but it really looks nice. I found this one at Kimbercrafts. Wow! I really love the pop of pink with this one pictured above. The different shades of pink and the patterns look great together. I found this one at Katie Brown Home. She even shares a small tutorial on how she made these. 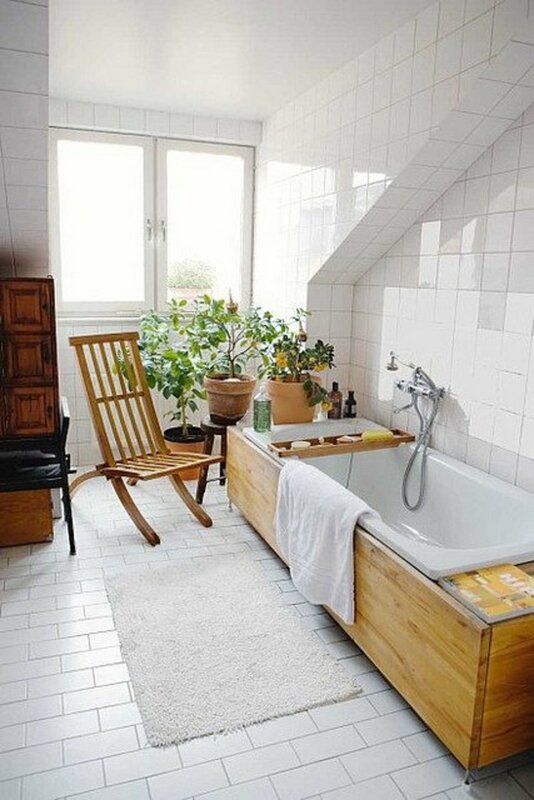 I was looking around Apartment Therapy and found this one. This is such a nice idea for a baby nursery. 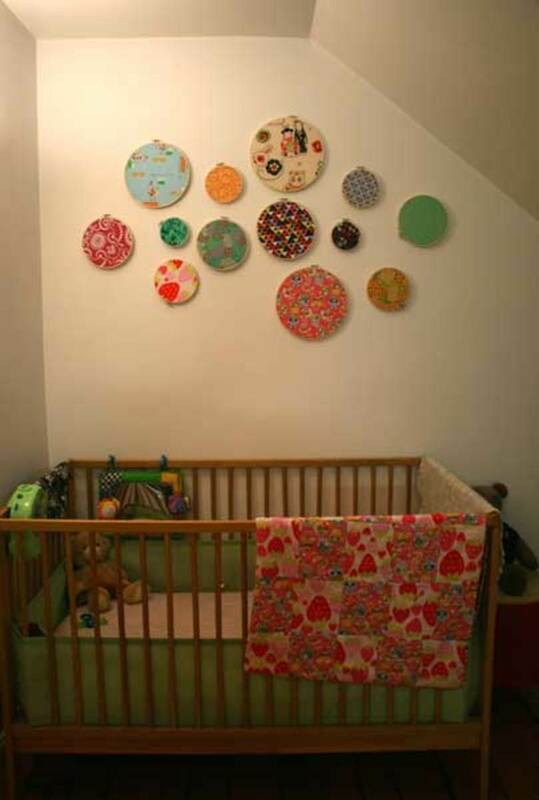 There is something about these hoops that make the room look cozy and bright and colorful patterns are great for babies. I like the free form look of these hoops I found at wise craft. 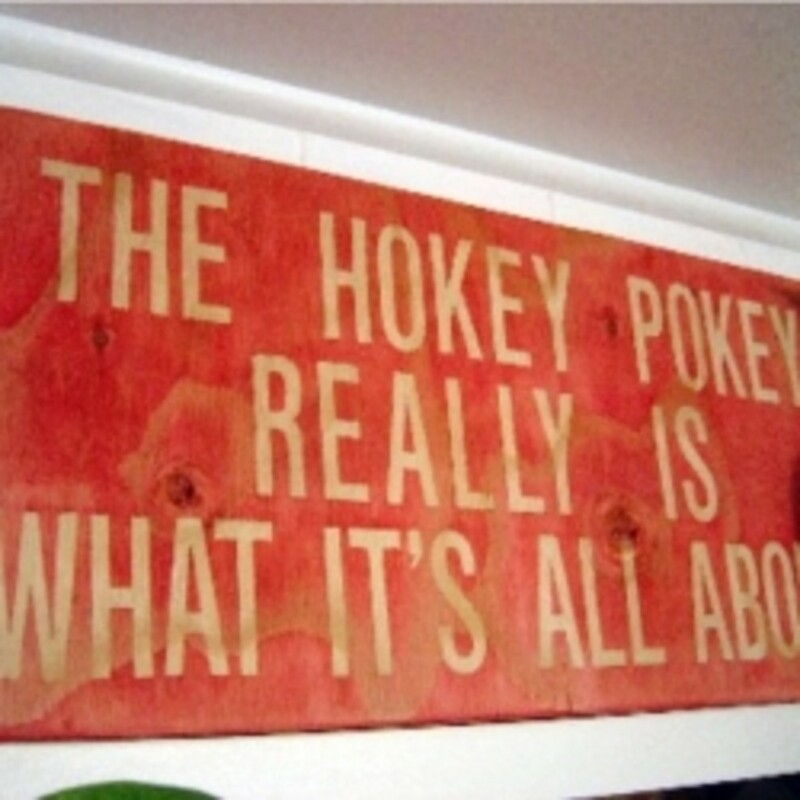 I think these are placed on the wall above a dinner buffet. I like the retro patterned fabrics that were used. I never would have thought these different patterns would look good grouped together but they really do look amazing. This was actually a wall display at a fabric shop that was called Purl Patchwork in New York. Some Liberty of London fabrics had arrived and this is how they decided to display the new fabric swatches. I think this looks amazing! The little store has since moved and is now called Pearl Soho. I found this photo at The Purl bee which also has a really nice, photo illustrated tutorial. If you are interested in some of the fabrics, there is a link to the store there, too. This is another hoop display in a baby nursery. I really like the oval hoop in this one and how the hoops are hung to frame the name. I was looking at the post and there are pictures of the other furniture in the room which is light colored sort of the "shabby chic" style and the wall letters look "shabby chic" too so it sort of brings everything together. Very cute! I found this at Someday Crafts. 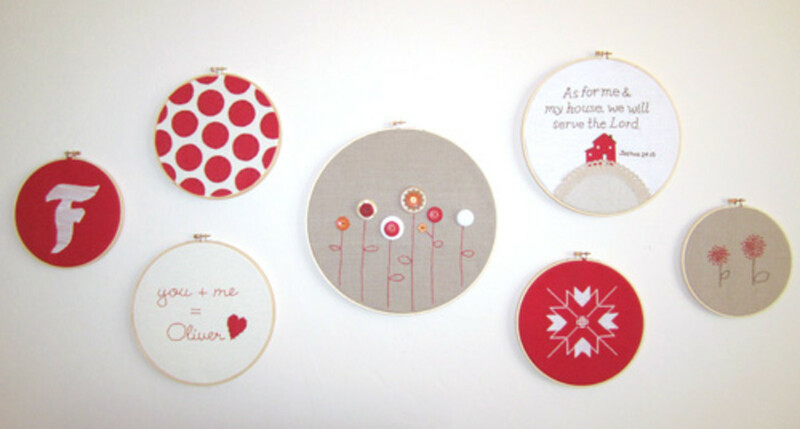 I love this over the sofa embroidery hoop arrangement. It looks great in the living area. 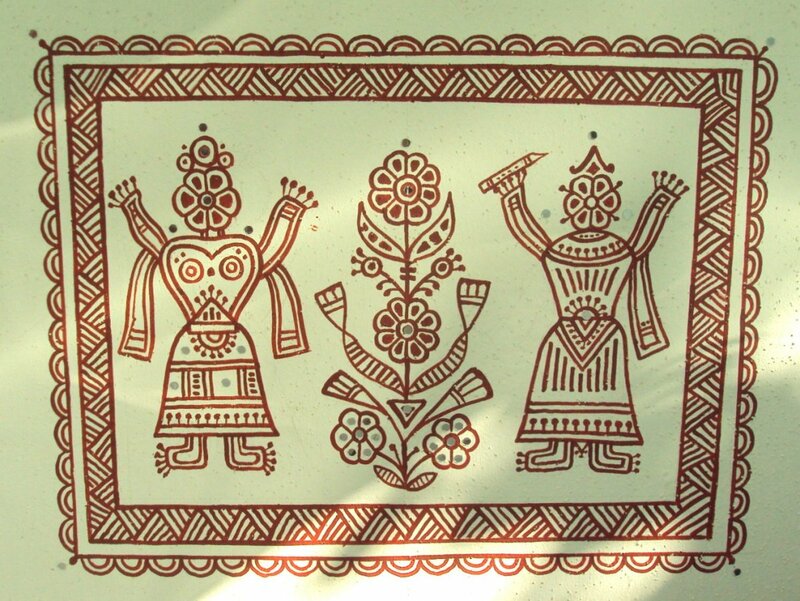 I found this one which belongs to fnur via Craftster. I like how it's made from the same pattern yet they use different areas of the pattern to display. I love the sort of free form moon shape of this arrangement and it really goes great with the décor. It gives the room that sort of shabby chic look or kitsch style as it says on the blog. I found this one at Polli. It is the very first photo. This arrangement looks very nice. I love how they are hung all around the mirror, sort of framing the mirror. I like that they are all different sizes, too. I found this one at Paws & Re-thread and there was a nice tutorial shared as well. I just LOVE this one at Max and Ellie. 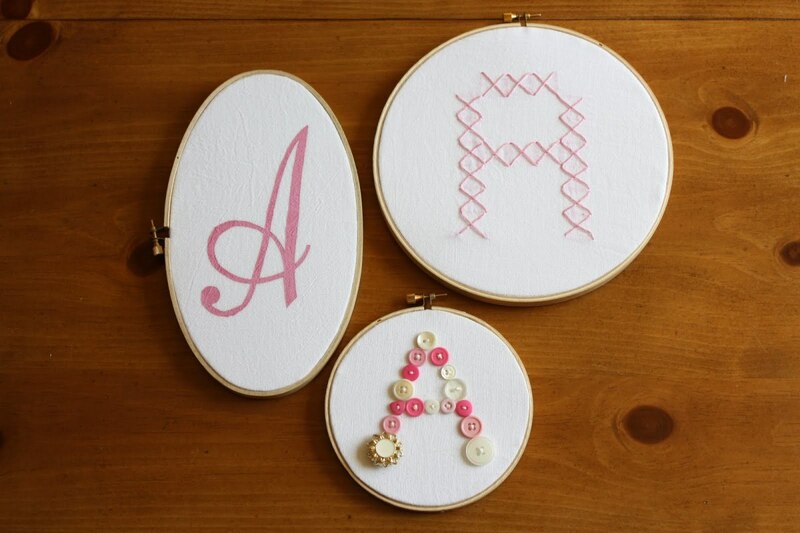 These monogrammed hoops are adorable especially the one with the buttons. This one really opens up my imagination. 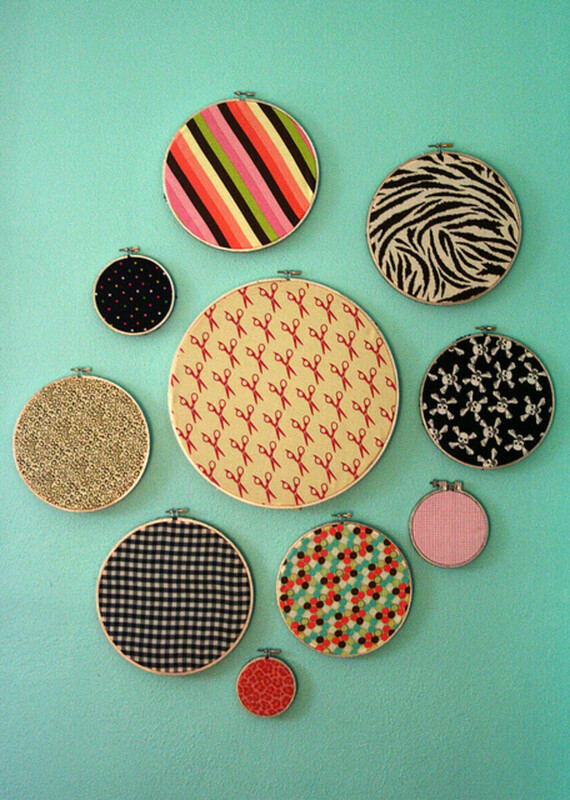 You could maybe spell a name out with buttons on hanging hoops or you could even iron designs on to plain fabrics and frame those with hoops and the cross stitch one would be looks as though it would be really easy to make. She actually used freezer paper to make a stencil for the A.. isn't that amazing! I like the feminine look of these. Go to the site to see more. They have even shared a wonderful tutorial on how to make these including how to use the freezer paper to make stencils! I found this one plus tons more photo ideas at desire to inspire. This looks very nice on the wall behind the yellow chair. It makes a nice little nook. 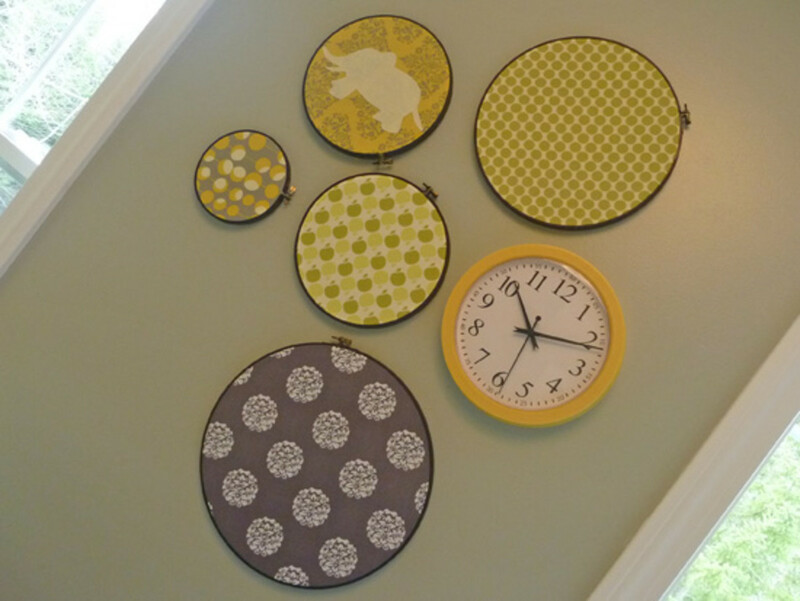 I love the look of these wall hoops found at domestic adventure for a baby nursery. I can't figure out if the fabric in these would be called more modern or retro.. The colors all go together very, very well and the clock being in the group is a neat touch. This hoop décor was a little different than most of the others. I found this one at Little Lovelies. It has a more natural and simple look to it. I love it.. it almost has a sort of vintage feel to it. The flowers and frame on the table really compliment the doily's. I am in love with that middle flowery hoop. It looks to be made with buttons! Isn't it cute.. The colors all go together great and I love the ones that have writing on them and the monogrammed one too. It is décor like this that really makes a house a home. Find these at Joy Ever After. I have to say that I really, REALLY love this one I found on Imperfectly Beautiful which was made by Laura at Décor to Adore. These are actually a knock off of a Ballard's design which the store called typewriter keys wall plaques. These really look nice on the dark wall. What an amazing job she did! Another group on a dark colored wall.. these I found casasugar. The contrast of the wall really makes the colors pop from the fabrics. 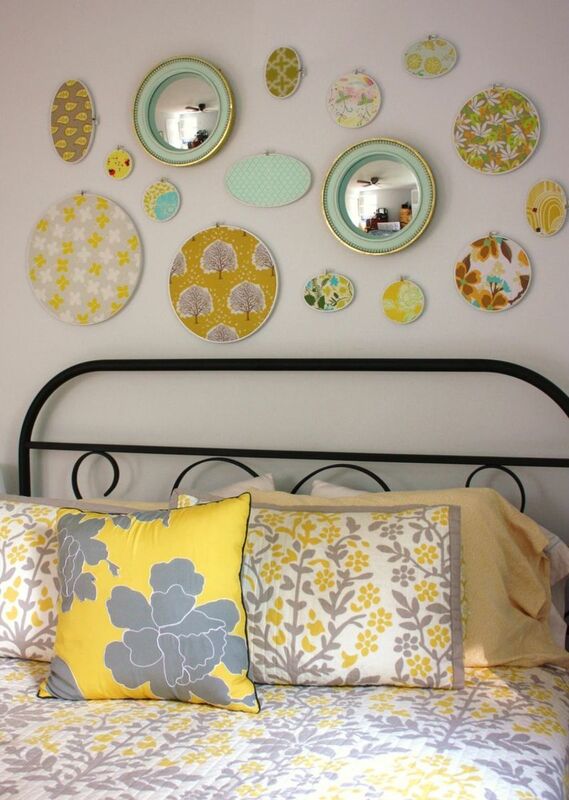 These look great grouped above the headboard, too. Look at this one I found at Caro's Thrifty Adventures. These really make a fabulous grouping above the bed. She shared an interesting idea in her post about instead of buying new fabrics, she had bought some clothes with nice fabrics from the thrift store along with some of the hoops she used, too! 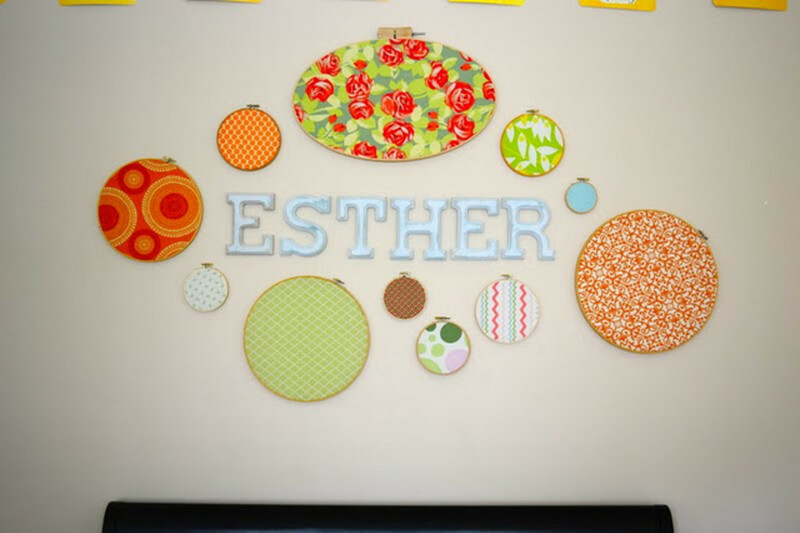 Here is an embroidery hoop wall display in a work room. If she does crafts in there does that qualify as work?? I found this at Creative ideas for you. 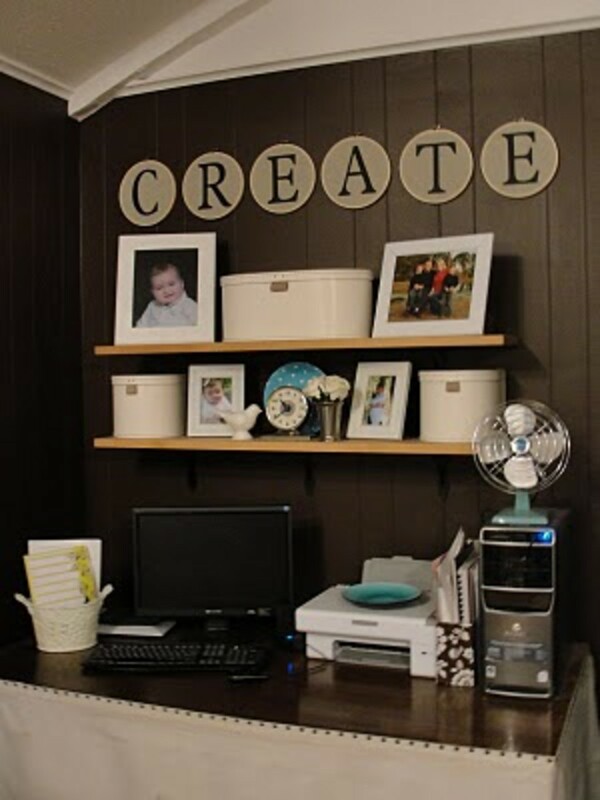 I would LOVE a work room like this one...so nice and roomy and the wall décor is amazing. 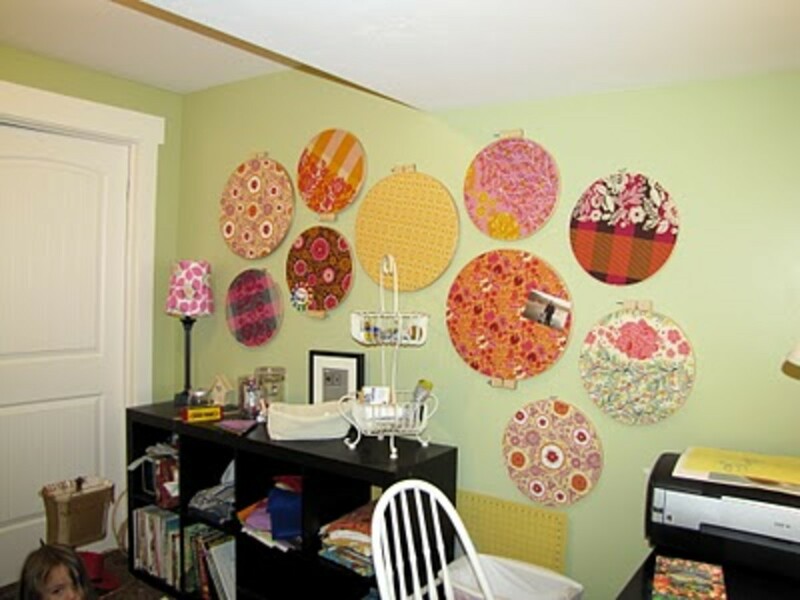 I like the large hoops she used.. it really is a perfect touch for a craft/work room. Very inspiring. At Scissors&Spatulas I found this group of hoops. 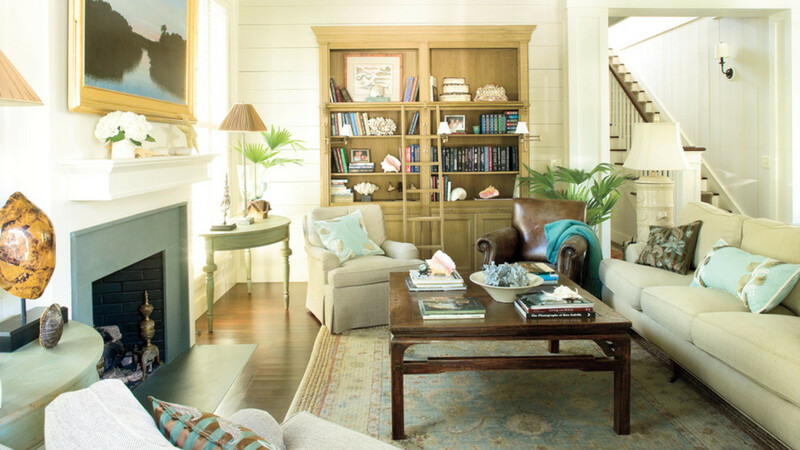 The soft colors go perfect with the surrounding décor. The hoops even have a rustic look to them. It all really goes perfectly together. I like the sewing images inside the hoops. Hanging above the sewing machine is a perfect place for them. Instructables is one of my favorite sites and look what I found! Now, this really is neat. In the tutorial she glues the photos (copies of the photos not the actual photos) to the fabric but you could even make iron on transfers of your old photos using inkjet printer iron on transfer paper. Then all you would need to do is iron them on to your fabric and then put in the hoop. 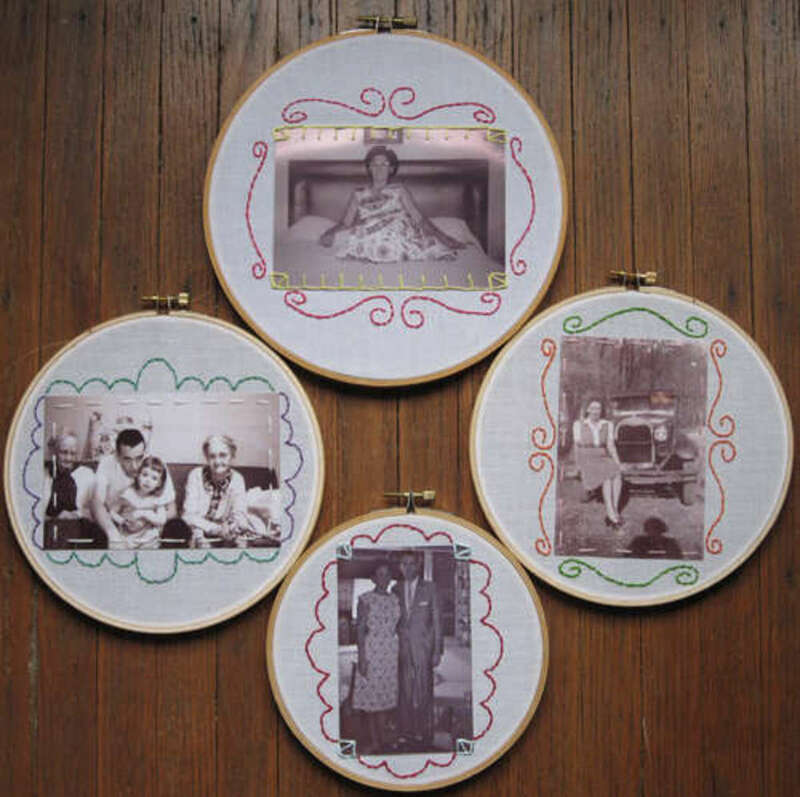 This is a great idea and a perfect way to display vintage pictures.. especially pictures of your grandma who liked to sew! 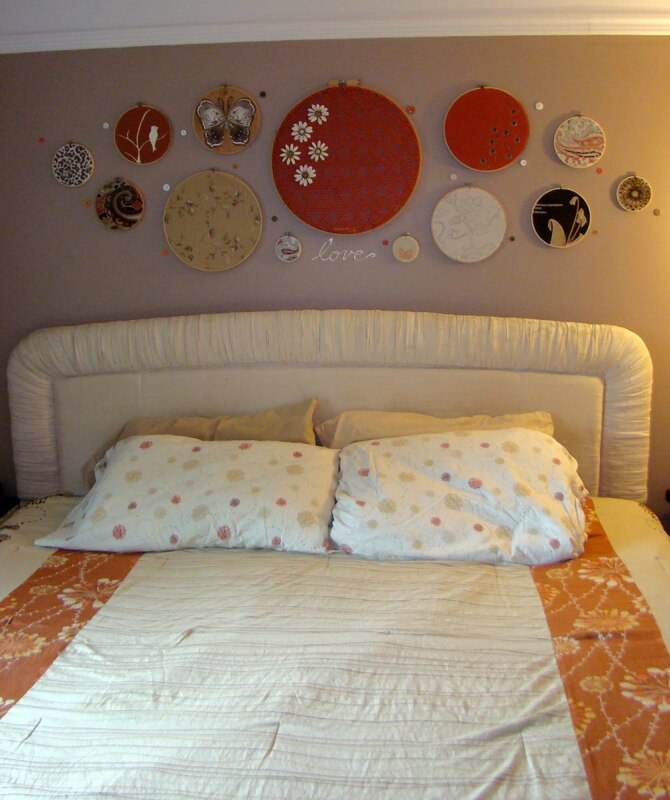 Here is a nice over the bed arrangement of embroidery hoop décor that I found at Buzzmills. I like how she mixed in the mirrors with the hoops. It really looks great all together and it looks wonderful with the colors in her bedspread. Very nice! Did I mention that I liked the bed frame, too? 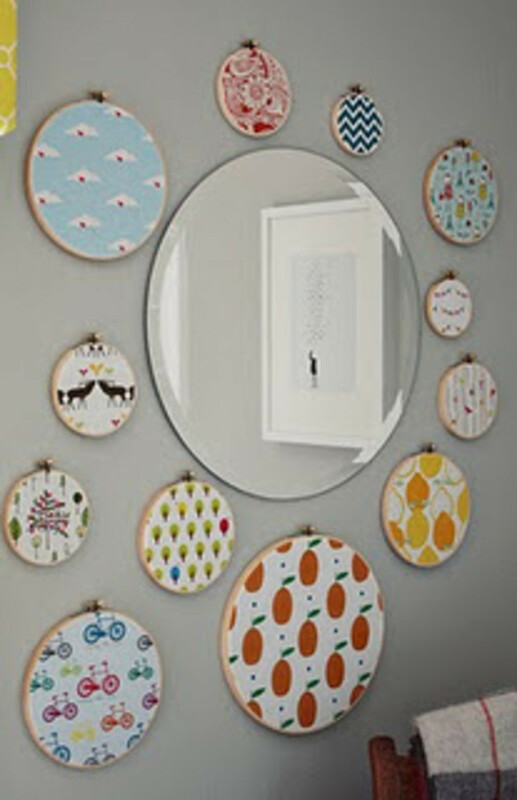 I hope you have enjoyed this round-up of embroidery hoop wall art ideas. This really is a truly frugal way to decorate. 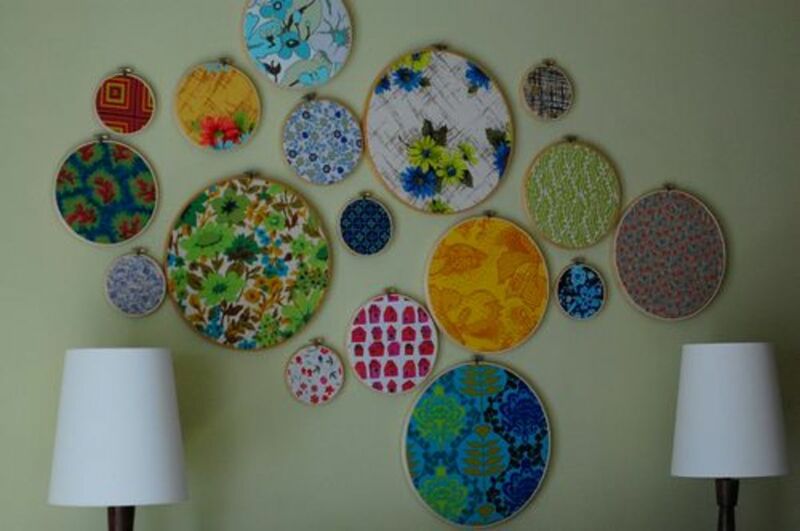 You can find used hoops at thrift stores like Goodwill and many of us already have fabrics that we don't want to throw out but do not know what to do with.. or we are waiting for an idea. This is the perfect project! Also, remember you can even use that old shirt that maybe doesn't fit or has a stain on it but you love the material or look of the fabric. This isn't just limited to fabrics off the bolt. However you decide to do it, get creative and have fun!! I design fabric patterns using graffiti, i think some of them would look great in that style. Loving this idea so much! 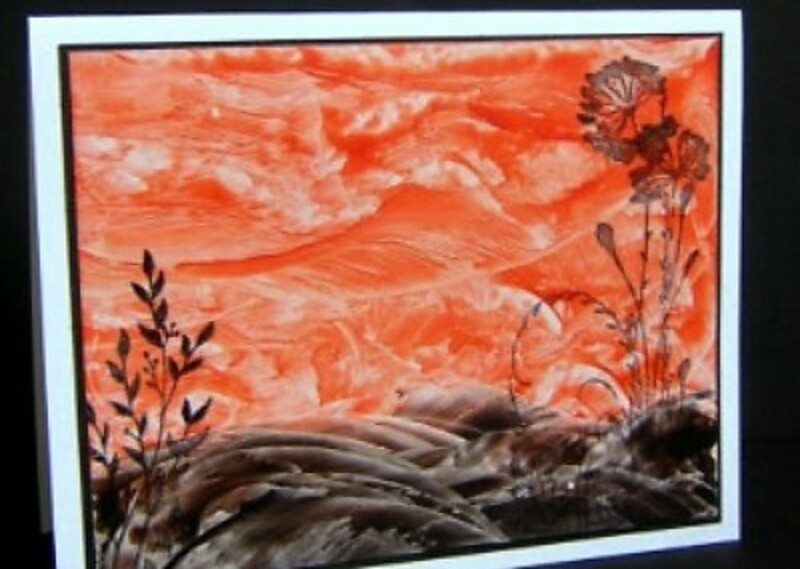 I would even get some fabric paint and do simple designs on the fabric. 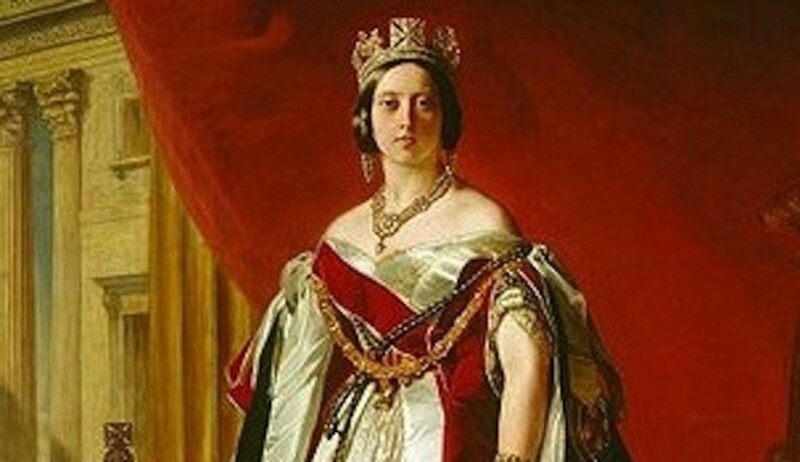 For example, a heart painted on the fabric and embroidery floss outlining the edge of the heart. 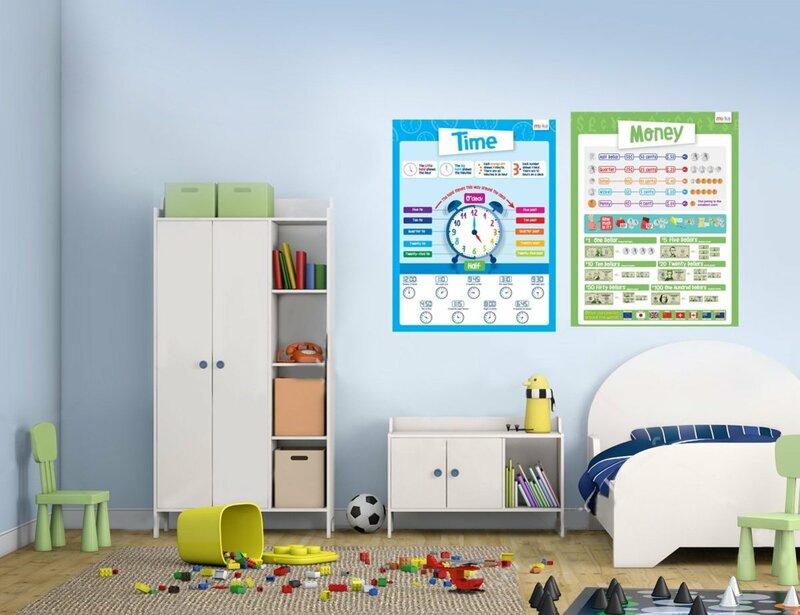 That might be cute for a little girls room, if you wanted to add a personalized touch. Thank you for putting this collection together... it's very inspirational. sweetxsour- thank you! I appreciate you stopping by! wow! these are really cute! Oh my gosh- these are adorable and so versatile. I will definitely be doing this in my nursery when I have children. This is absolutely awesome, totally voted up- thank you so very much for posting this- amazing, fantastic, wonderful! Wendy Finn, I'm so glad you like these! Thank you for the possible link to my hub.. please feel free to link to any of them. Thank you for stopping by! 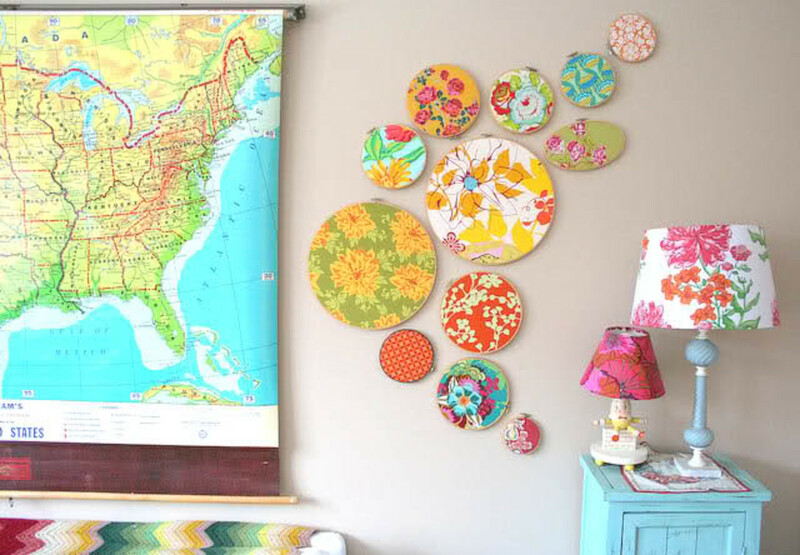 What an awesome idea - it would never occur to me to hang this stuff on the wall. Cool. Going to see if I can add in a link from my DIY wall art article. Thanks! Space Elevator, thanks for stopping by.. I love the arrangement over the crib, too. I think it's perfect for a baby nursery. What a great decorating idea...especially for those starting out with many blank walls and not a large bank account. This hoop wall art is colorful and can brighten up any room. Loved the one over the baby crib. So cute! Kimbercrafts, you are so welcome.. thank you for sharing your beautiful wall décor! This is a really great roundup - thank you so much for including my project! 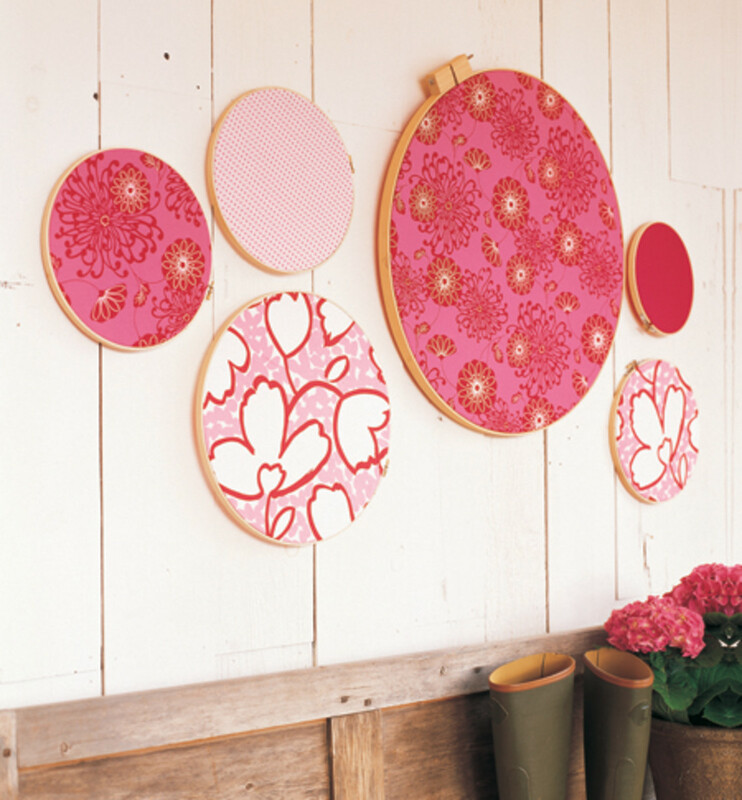 I love the versatility that is possible when decorating with embroidery hoops! Jane, you are so welcome! Thank you for sharing your beautiful décor. acliff, thank you for stopping by.. glad you liked this. This is one of the best frugal décor ideas I've seen in a long time and I didn't even think about being able to change them up now and then. Makes it even better! You are so welcome.. Thank YOU for sharing your beautiful décor! I love your little sewing nook! Thank you, Peggy! I love the ones over the crib, too. There really are so many possibilities. I never would have thought some of those fabrics would look as great as they look together. I guess it's like a quilt- the more different patterns you use, the better it looks. This is an awesome idea! It's great because it's simple and interchangeable. Thanks for the hub! WOW! Thanks for including my embroidery hoops in your feature. Now that I've seen these, I know I definitely have to add more! 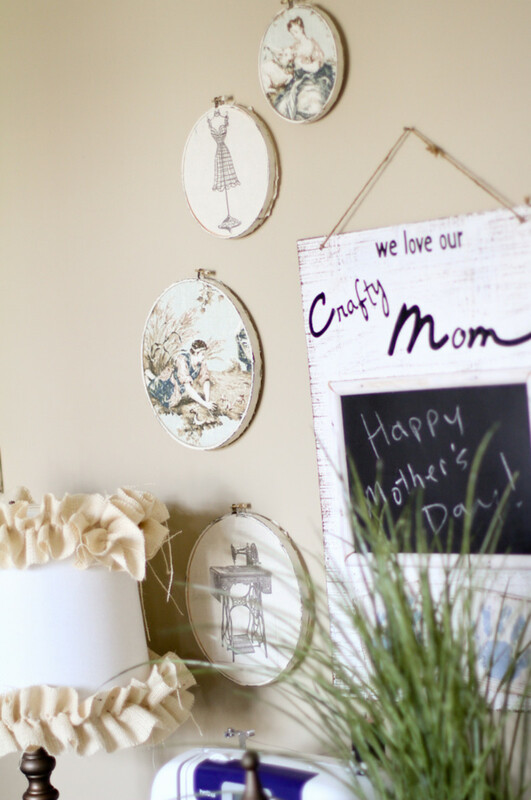 Thank YOU for sharing your beautiful embroidery hoop décor.. it's amazing! stclairjack- Hehe.. yes, I'm like you. I'm completely in love with this idea!! Thank you so much for the feature! Love the collection & article! This is such a simple decorating technique but has so many possibilities! I love how you can customize the size, colors, etc.